To create a safe, happy learning environment where each child can learn the basic skills to prepare them for future education. - Full, Half day care and 3 mornings a week options. 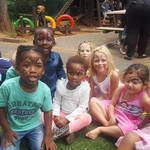 - We accept children from 18 months to Grade R.
- We have a dynamic team of qualified teachers and assistants, providing quality care and exceptional education. - Our classrooms are well equipped and spacious. - We offer a nutritious, cooked lunch and healthy snacks. 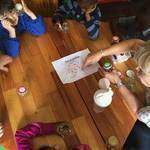 - The learning areas of language, movement, art and perception are theme related and change every week. - We offer an exciting Holiday Club program during school holidays at a nominal fee. - We have 2 large shaded outdoor areas. - We have a bike and scooter track. - We have a large covered sandpit. -Swimming (Tuesday and Thursday) This is not done on our premises.